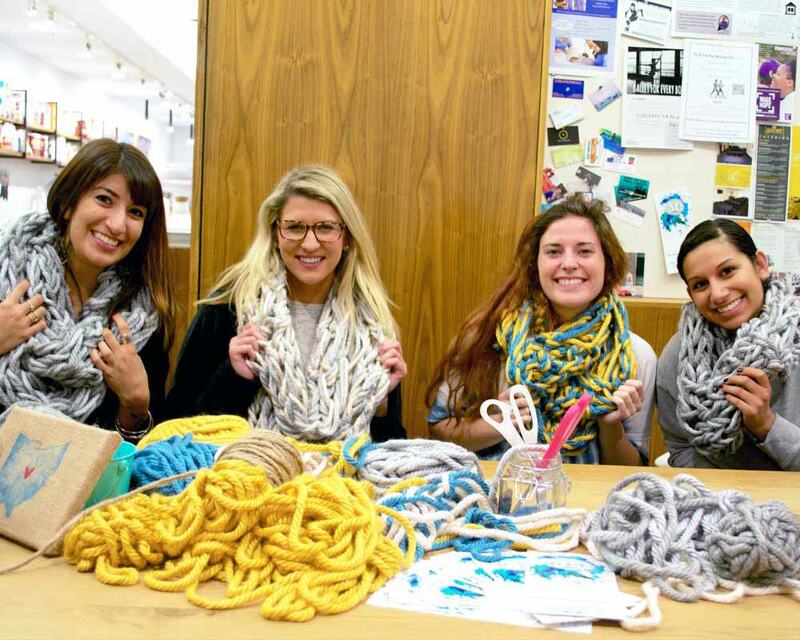 We’ll guide you through all the steps to knit your own infinity scarf… and with nothing more than your hands! 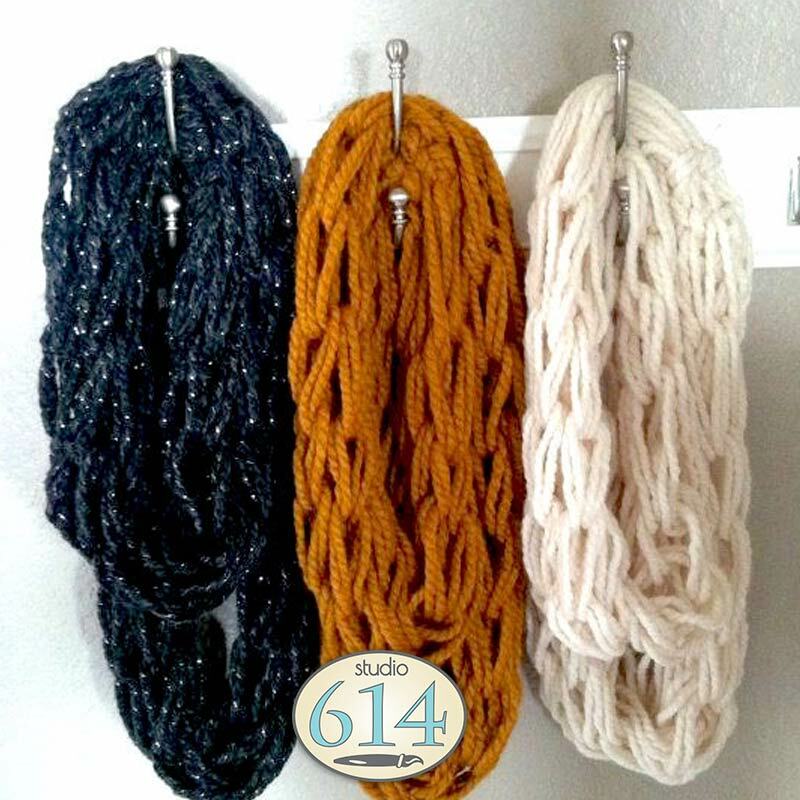 We use the highest quality mega bulky 100% acrylic yarn to create comfy scarves that can either single or double wrap around you during the cold winter months. Available for private parties, corporate groups, fundraisers, and Columbus bar venues. Open Classes: Reservation required! 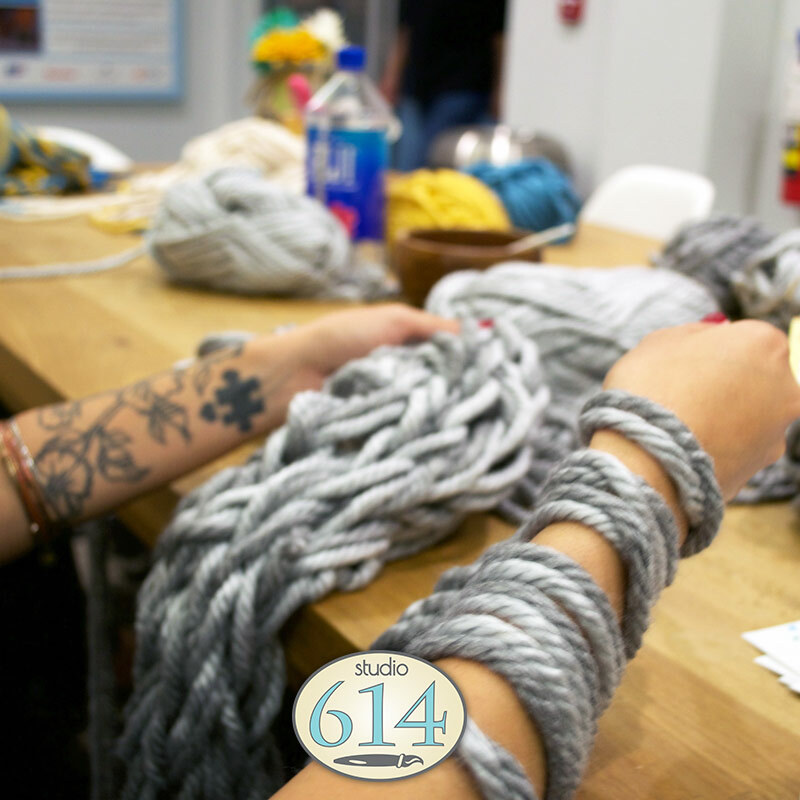 Find the next Arm Knitting Party in Columbus on our Events Page. 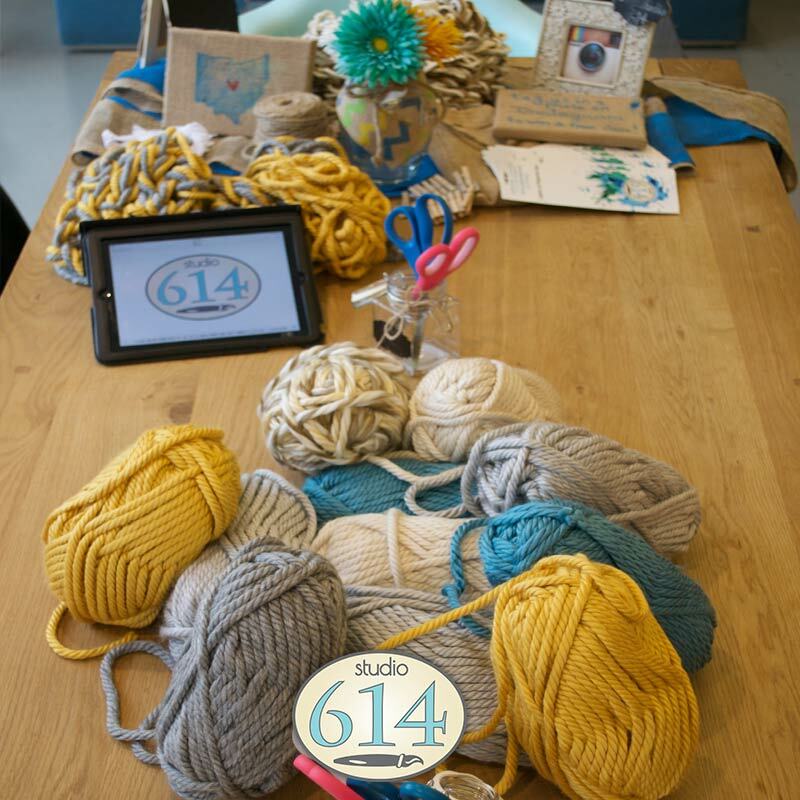 Each guest will choose their favorite color mega bulky, ultra soft 100% acrylic yarn (included in price) and will knit infinity scarves with the creative guidance of one of our amazing artists! Minimum 10 people to reserve a private group. 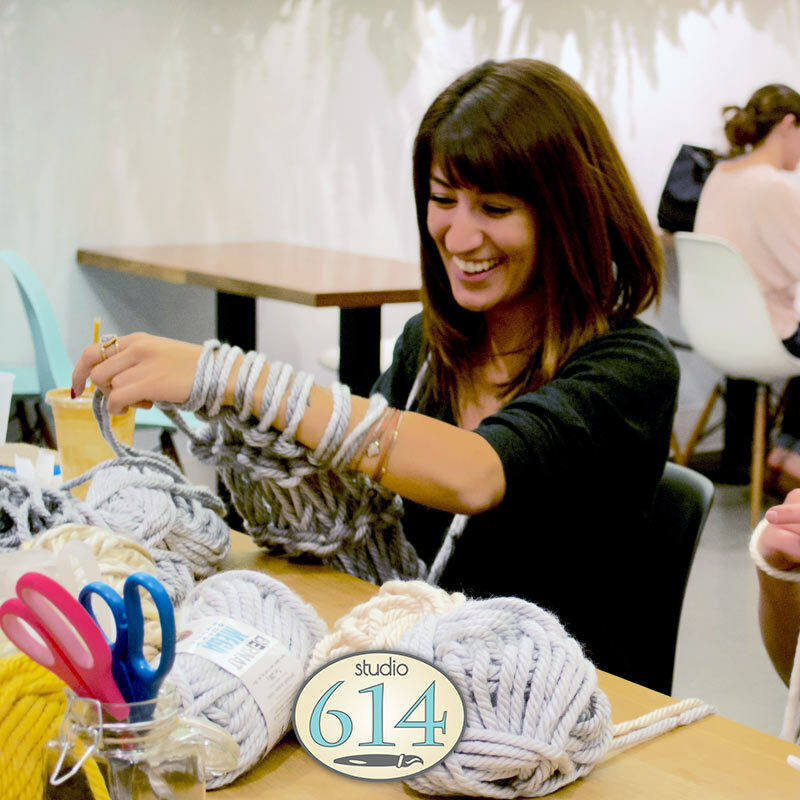 Studio 614 Infinity Scarf Arm Knitting Parties let you take home the warmest accessory you’ve ever made. 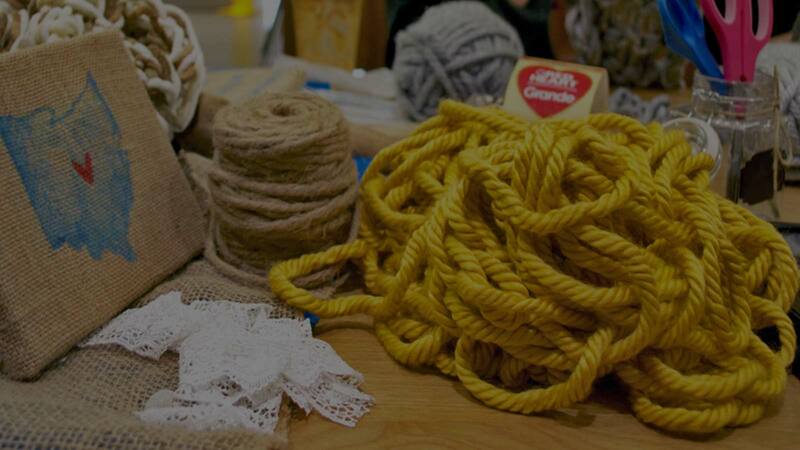 Guests will be taught the “Arm Knitting” technique, then use it to create high quality infinity scarves together! 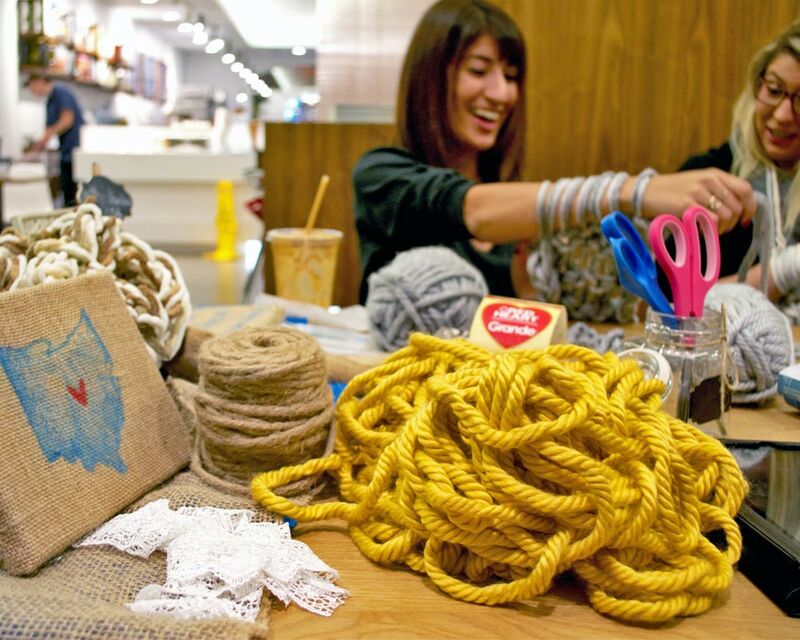 Upon arrival, guests will sit down at work stations already laid out with yarn and knitting supplies. If the party is at a Columbus restaurant or bar, servers will attend the class for the entire duration serving you up whatever snacks or drinks you’d like!